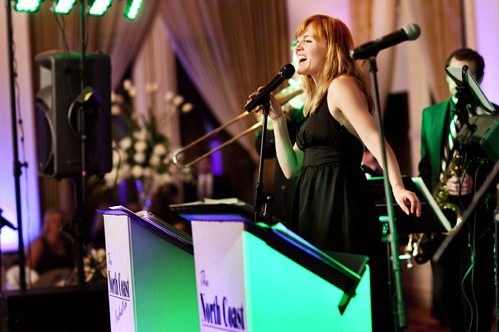 Music sure does set the tone for any event you’re hosting – particularly weddings. But the question on most bride’s minds, remains: do I want live music? A DJ? What about music for the cocktail hour – how do I choose that? No need to worry. Matt Anton of ACA Music & Entertainment offers his advice on what types of wedding music couples should consider when making their wedding day picks. And before you get overwhelmed, remember to always look for package pricing when talking to vendors. The more you add – the larger the discount! Matt: For the ceremony, and I know this will make the DJ’s upset, but there is no substitute for live musicians for this part of the wedding day. For most of your guests, their wedding experience begins with the ceremony, so you’ll want to put your best foot forward. Aurally and aesthetically. Imagine you are having your ceremony over-looking the lakefront on the most beautiful Wisconsin summer day. Your guests are dressed in the finest apparel, color-themed floral arrangements surround the perimeter, and you look off to the side to see a DJ, a set of speakers, and a set of turntables? Ok- scratch that last part and replace the image with 1-4 of the finest string players in the Midwest, dressed in tuxedos and dresses, holding immaculately maintained antique violins and cellos, and performing music that many of your guests might only hear performed ‘live’ if they attend MSO concerts. Also, ‘live’ music options don’t have to be limited to string groups. 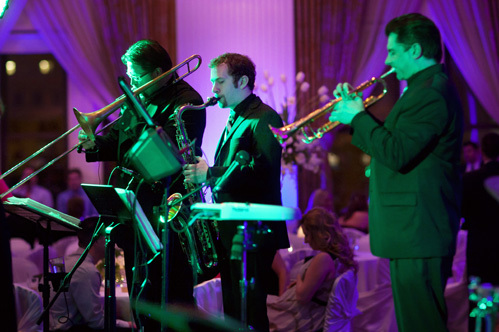 Many brides and grooms utilize the services of brass groups, pianists, guitarists, singers, and many other options. Of course, there are benefits to using a DJ also. To continue with the scenario described above, a DJ can provide microphone services for officiants and readers where some ‘live’ music options may not provide that service….and that can be crucial for outdoor ceremonies. We’ve even seen ceremonies where the DJ plays karaoke tracks for a live singer to sing along with and that works very well also. Matt: One thing to consider is the age range of your guests. These days, wedding bands tend to cater to a very wide range of age groups. A good wedding band will have music from all eras, which gets Great-Grandma on the floor to dance to some swing music earlier in the night, but keeps the bride’s and groom’s college friends entertained with Top 40 hits as the evening rolls along. Another consideration is the size of your venue. 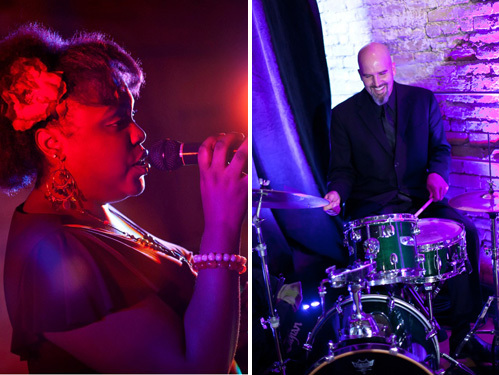 A venue like The Wisconsin Club, which has a stage in the reception ballroom, is perfect for a band. Having 5-12 musicians/entertainers fill that stage is impressive and simply makes the dance floor look more inviting. If you are having a smaller wedding and floor space is an issue, a band may look cumbersome and take up too much space, where as a DJ has a very small footprint. Budget is another factor. Bands, particularly larger groups, are generally more expensive than DJs. Many bands actually offer DJ service as an add-on to their band package. In turn, many DJ companies will offer musicians for the ceremony or cocktails as part of their package. Matt:Many bands offer smaller groups within their larger band to perform for cocktail receptions. As long as enough time is left to transition for one area to the next (10 mins is usually enough) this usually isn’t a problem. If you are having a DJ, this may require a second PA system to be set-up in the cocktail area. Most DJ’s offer this service, but may charge a small fee for the extra equipment. If the couple is looking to do something a little different, they might consider having an eclectic music ensemble for cocktails. Some examples would be a bluegrass band, a strolling gypsy duo, or perhaps even a brass quintet. During the reception, you just want everyone dancing, so having many styles of music represented is a necessity. But, cocktail hour can be your chance to show off your personality or uniqueness through the music you choose. Having another musical group/style entirely fulfills that need and because they will tear-down after cocktails, you and your guests can smoothly transition into the dinner/reception area where your band or DJ will already be set-up without a break in the music.